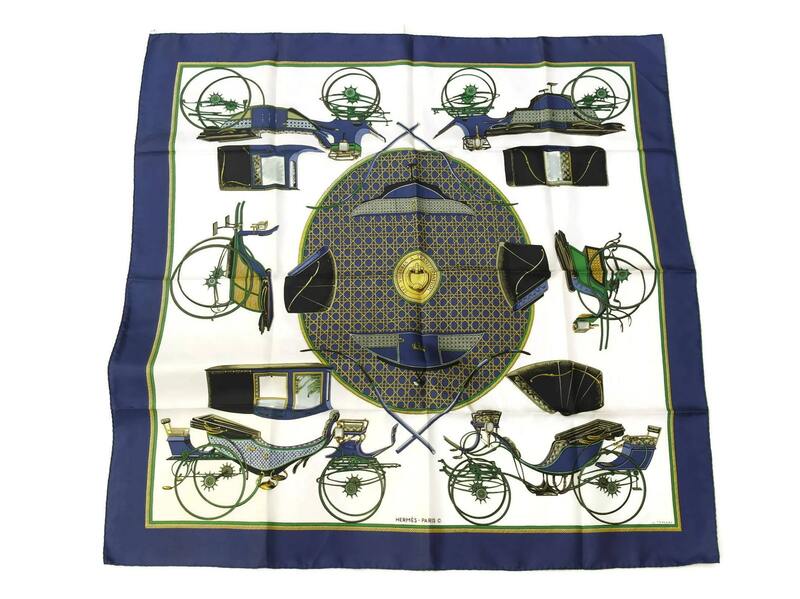 A magnificent authentic vintage Hermes silk scarf, "Les Voitures à Transformation" designed in 1965 by Francoise de la Perrière. The scarf has been created from 100% silk twill with exquisite hand-rolled hems. 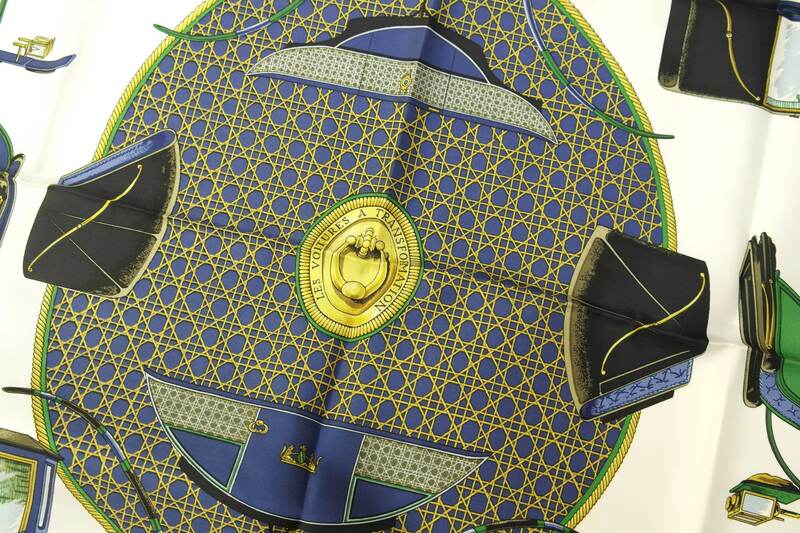 It has been printed in vibrant shades of cobalt blue, emerald green and gold on an off-white background. 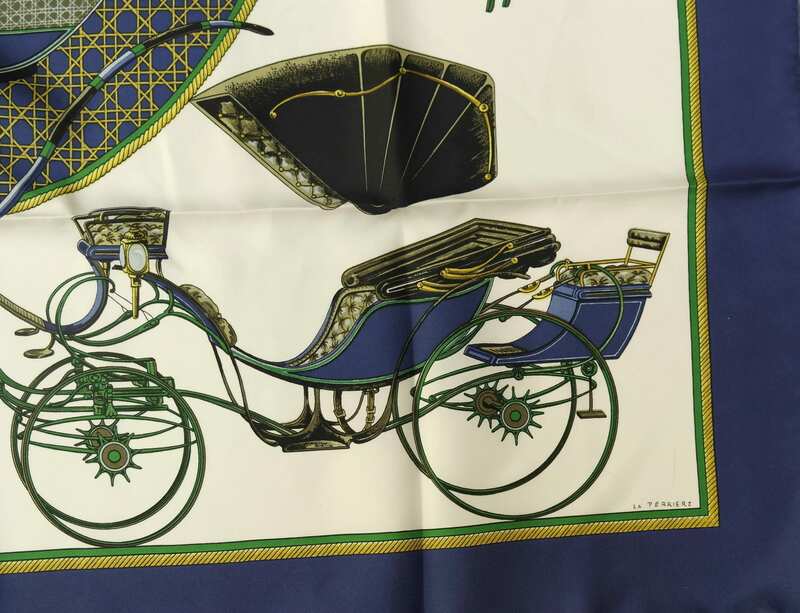 The design features antique stagecoaches and has the name of the design, "Les Voitures a Transformation" printed in a medallion at the center of the scarf. 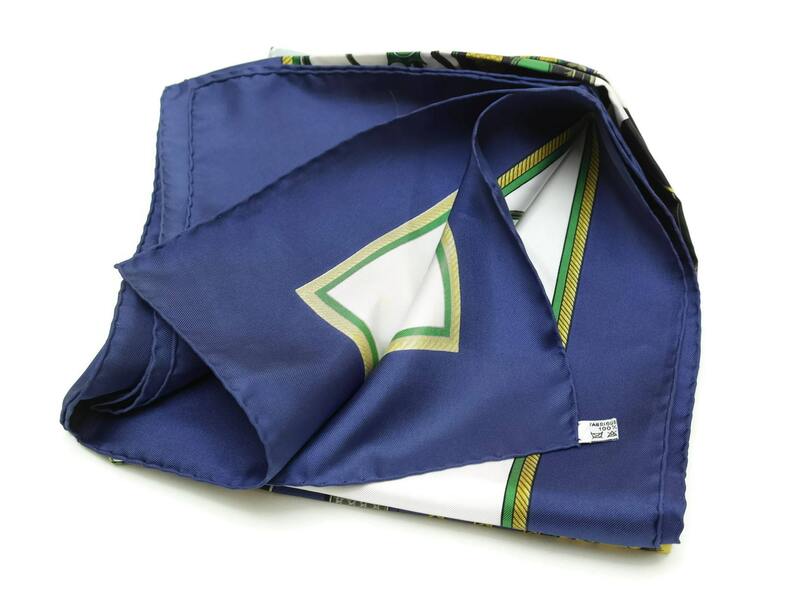 The silk scarf features the Hermès brand name with a copyright symbol as well as the name of the designer La Perrière. It has an original care tag. 36" x 36" (90 cm x 90 cm). 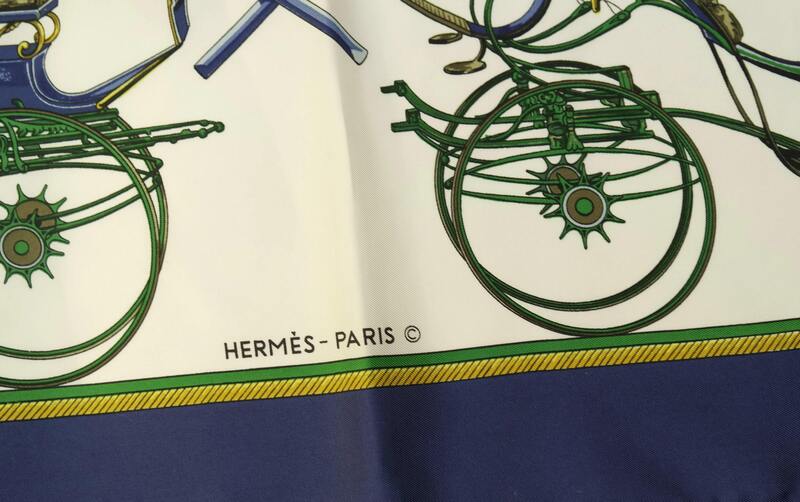 The vintage Hermès silk scarf is in excellent condition. There are no stains and no damage.